Tech giant Qualcomm sells its Halo wireless charging business to rival WiTricity. GM and Amazon could be in talks to invest in startup electric pickup-maker Rivian. A new computer model tests how a 100-percent renewable power grid would have held up to the recent polar vortex. And results of last week’s Twitter poll show how you think automakers should advertise about electric cars. All this and more on Green Car Reports. 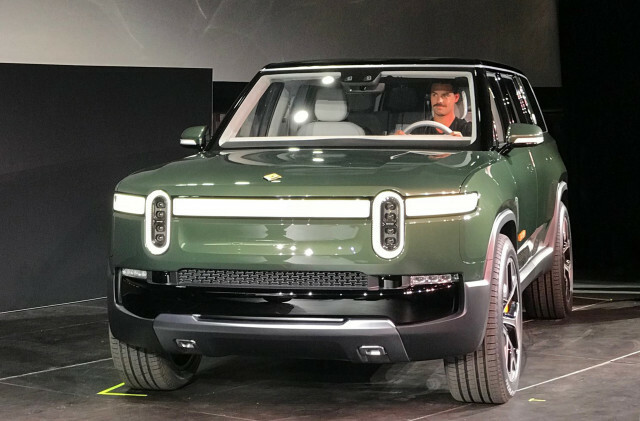 GM and Amazon could invest as much as $2 billion in startup electric automaker Rivian, which took the LA auto show by storm with its electric pickup and SUV concepts, due out in 2020 and 2021. Just in time for Congress’s Green New Deal, which would target 100-percent renewable power production in the U.S., energy consulting firm Wood Mackenzie built a model to test how such a fully renewable power grid would have stood up to the recent polar vortex cold snap. To meet such extreme power demands would require not only more renewable power, but more energy storage and transmission lines. Qualcomm, which has built several demonstrations of dynamic wireless charging for electric cars, sold its wireless charging business to MIT startup rival WiTricity, in a move that could speed up the rollout of wireless charging by unifying standards. In our latest Twitter poll, respondents say automakers should focus on the performance of electric cars in ads, rather than their environmental credentials, costs, or emotion. Consumers borrowed more money to buy cars in 2018, and also defaulted more, according to a report by the Federal Reserve Bank of New York. Finally, spy photographers caught a redesigned Toyota Highlander testing, which should be good news for fans of the fuel-efficient Highlander Hybrid.